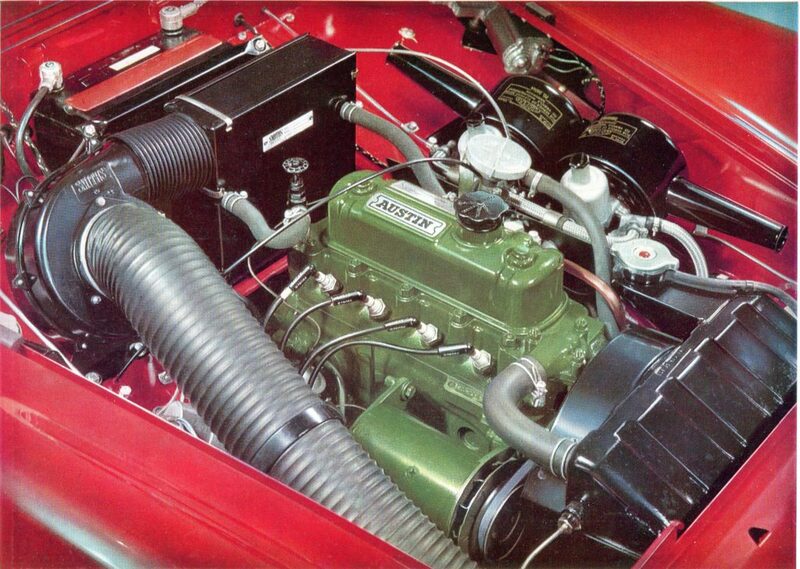 The BMC A-series engine featured in the MG Midget and 1100/1300 model saloons, but it was a very versatile unit. This article from May’s edition of Safety Fast! explores its long history. A new engine was originally projected by the Austin Motor Company as an 800cc pushrod ohv unit to replace the pre-war Austin ‘Big Seven’ side-valve unit, which had carried into the ‘8’ model, of which many were built for the military during the war. Design was commenced around 1944 when it was clear that the war was coming to a successful conclusion. The instruction was given by Leonard Lord, and included in the team of engineers were Bill Appleby and Hubert Charles, who had been working on aircraft engines during the war. 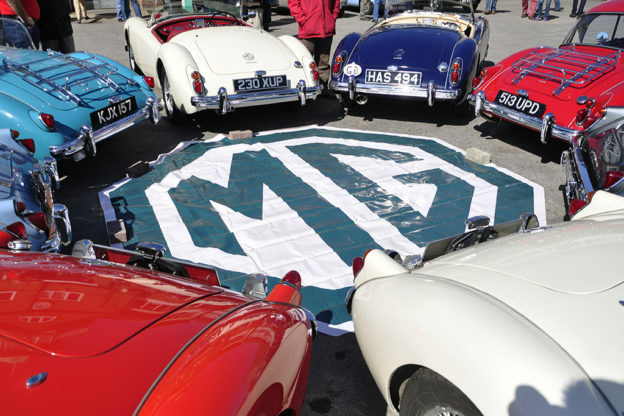 Appleby had been involved with the Austin Twin Cam racing car, and Charles with MG cars. At the same time a larger displacement (1200cc) four-cylinder unit was projected, and a six cylinder of around two litres. These were intended to use as many common parts as possible to keep manufacturing costs as low as was consistent with reliability and servicing costs of the units. The units were referred to as A, B and C-series respectively. In the event, the six-cylinder engine was not proceeded with, as there was already a two-and-a-half litre four which was put into production just before the war, coded BS1. The B and C-series units will be the subject of other articles, and here we concern ourselves with the smallest unit. A35 A Series engine. 1-Engine oil filler cap. 2-Dynamo bearing oiling point. 3-Engine oil dipstick. 4-Oil filter. 5-Engine oil drain plug. 6-Gearbox oil drain plug. 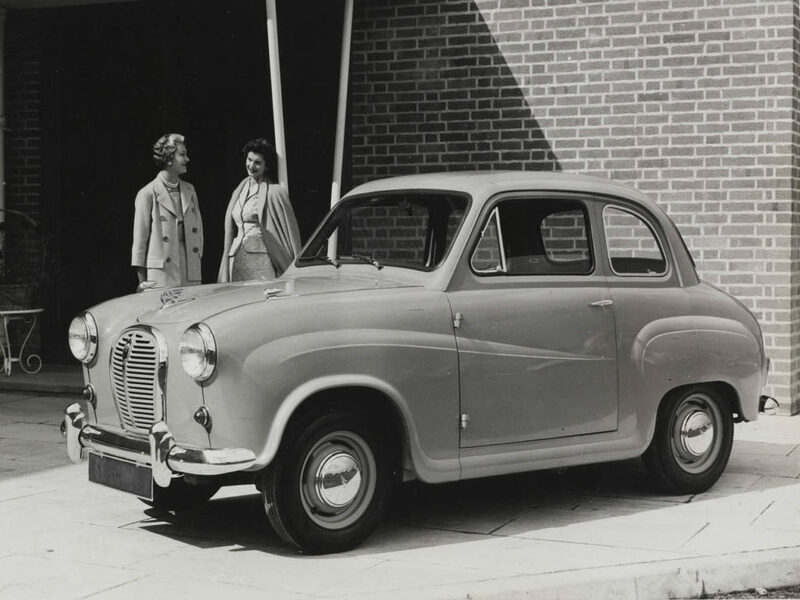 The A-series entered production in the Austin A30 model during 1951 and, built in various configurations, was in production until 2000. The bore was 57.92mm and stroke 76.20mm; these apparently odd sizes arising because Austin was using imperial measurement systems, although using SAE bolt head sizes rather than the old Whitworth heads. The crankshaft was a forged steel piece, and forged connecting rods had a diagonal split big end bearing and a split small end with a locking bolt to locate the gudgeon pin. This allowed rod and piston assemblies to be drawn through the bores. ‘Thinwall’ bronze-backed bearing shells were used, but at this time Babbitt lined. The camshaft was carried in the cylinder block, driven by a simple chain arrangement, with no tensioner. Hollow bucket cam followers were used and drive transferred to the valves with hollow pushrods and rockers. The unit produced a healthy 30bhp at 5,000rpm, with a torque of 46 ft lb at 2,700. Perhaps the least satisfactory part of the design was nothing to do with the engine itself, but the gearbox used, which was very pre-war Austin, having three fairly close ratios, but all very low, and a direct top gear; all very well in steeply graded areas, but meant that the engine was screaming in the indirect gears, to the detriment of eardrums in closed cars! In 1953 the amalgamation of Austin Motor Co Ltd and Nuffield Industries Ltd to form the British Motor Corporation Ltd resulted in these engines becoming the power units for the entire small car and light van ranges, chiefly because the existing Nuffield units were all pre-war designs which were reaching the end of their economic life. A-series production was transferred to the previous Morris Engines branch at Courthouse Green, Coventry. 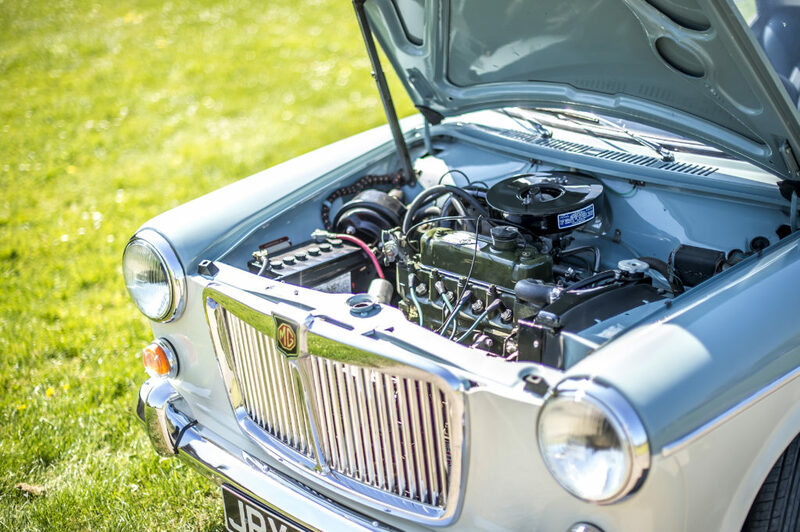 The Morris Minor was the first car, apart from Austin cars, to have the Austin 803cc engine fitted from 1953, replacing the side valve unit designed back in 1933. The first major change to the engine was in 1957, increasing bore size to 62.94 mm, which increased capacity to 948cc, giving a useful increase in engine torque, which was sufficient to allow the change to improved and closer gearbox ratios. At this time, the Minor became known as ‘Minor 1000’ and the A30 designation changed to A35. Two years later the A40 and the Austin Healey Sprite were introduced, using the same engine, the Sprite having two carburettors. 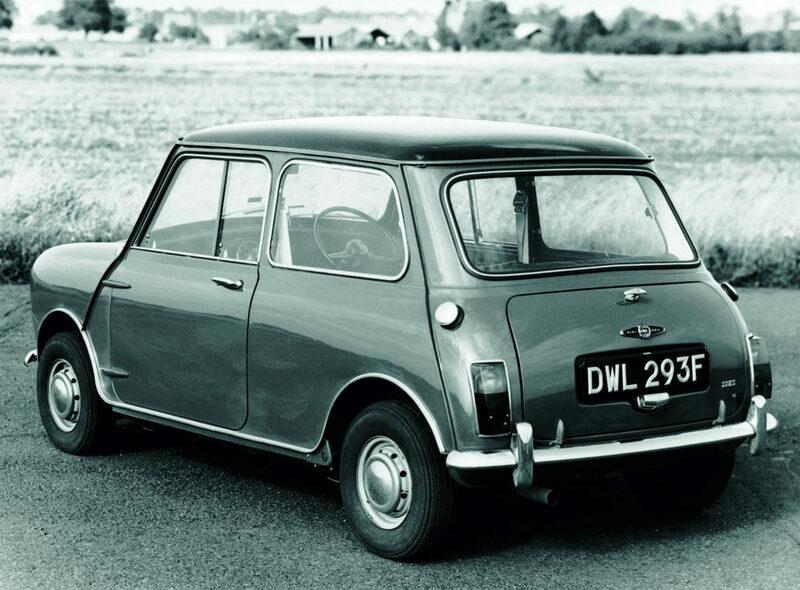 Meanwhile the Mini was being designed, originally with the 803cc engine, although by the time the design was finalised, to keep bonnet line low, and the cylinder bore had been increased to 62.94 mm but crankshaft stroke had been reduced to 68.26 mm, and displacement to 848cc. For this car, the gearbox was mounted in unit with and below the engine, and the car was introduced in 1961. 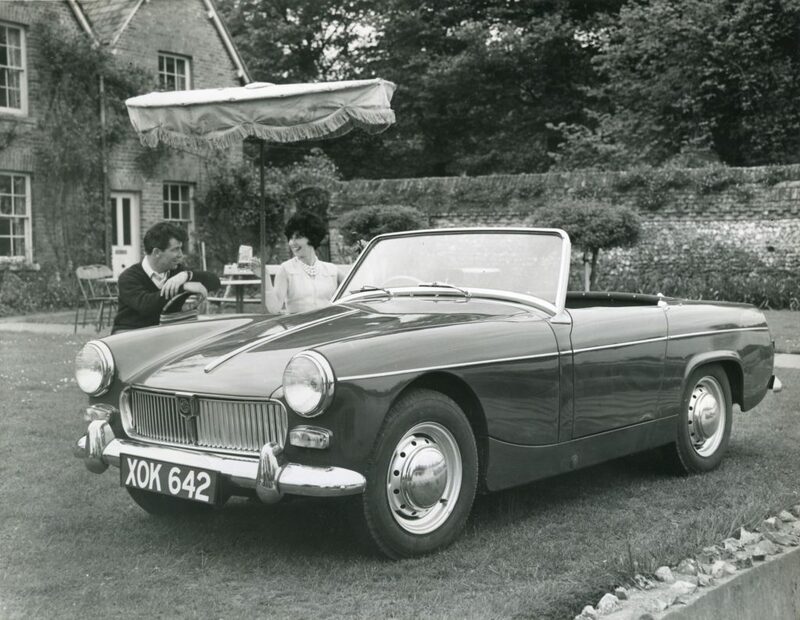 The following year the MG Midget was introduced, using the Sprite/A40 mechanical bits but a different, more comfortable and lighter body, which would shortly afterwards be adopted for the Sprite. These shenanigans were caused by the enormous dealer network inherited when BMC was formed, who kept their historic identities as either Nuffield or Austin outlets and these required suitably badged models for sale. Even the Mini was originally sold as a Morris Mini-Minor or the Austin Seven, identical in all but name and badges. At this time the BMC cars had by far the largest slice of the market, which justified, in part, a little diversity of their product in an attempt to widen that market appeal. 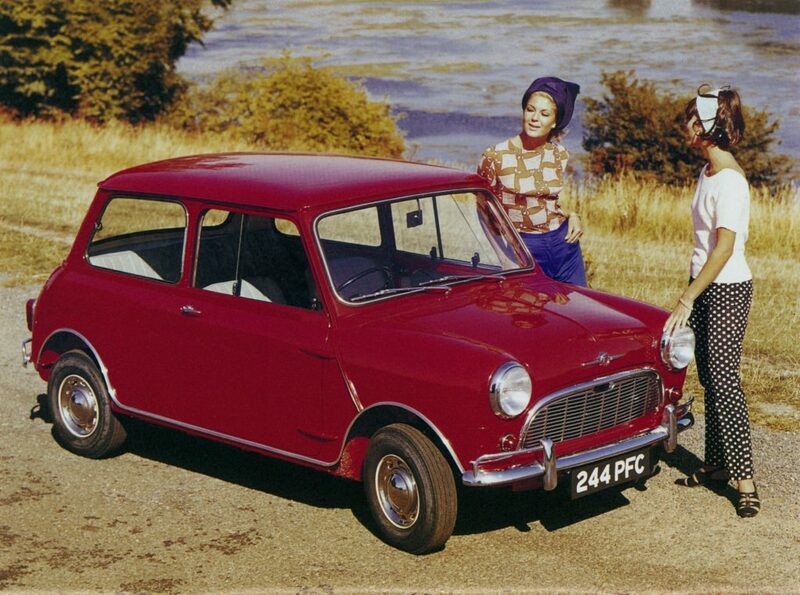 In 1962, a new model small saloon (ADO 16) was to be introduced, and the engine stroke was increased to 83.72mm, giving a capacity of 1098cc, initially as the Morris 1100. The engine was mounted in the car transversely, like the Mini, but an in-line version of the engine for the Minor/A40 and Sprite/Midget models was introduced at the same time. 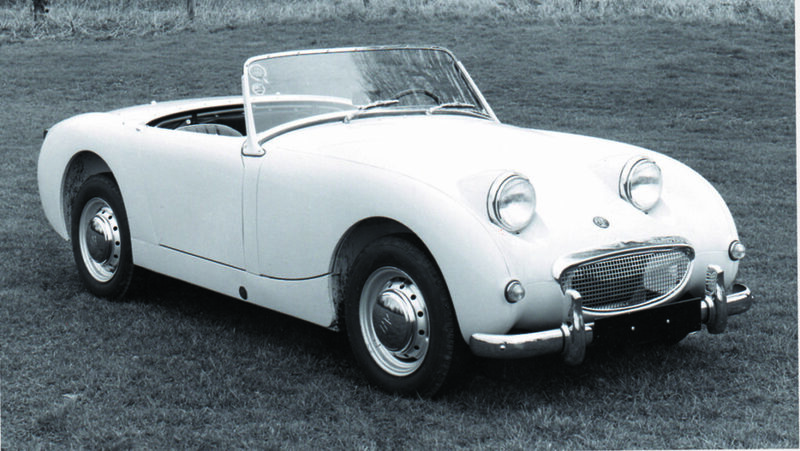 The sports car engine proved to have issues, and the crankshaft main journal size was increased in 1964, coincident with various body improvements, making the model Midget Mark II/Sprite Mark III. 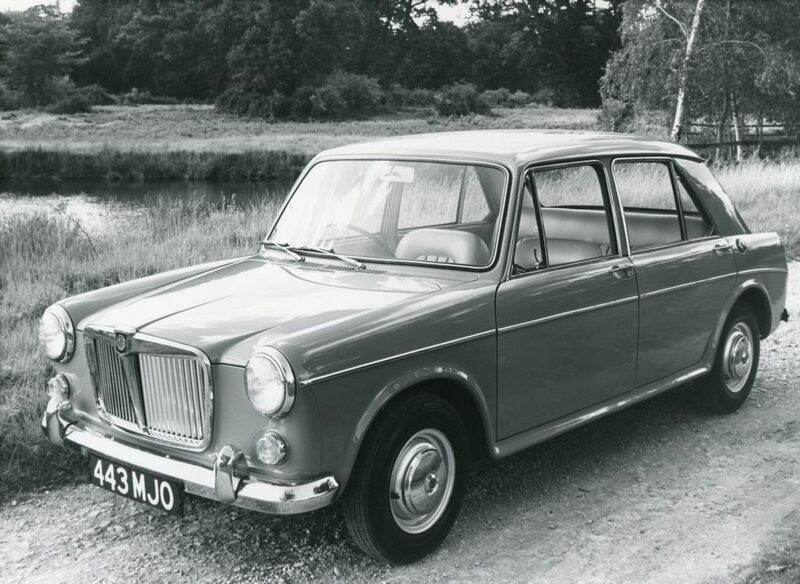 There was, in addition to the Austin/Morris versions of the 1100 saloon, also an MG-badged model, featuring two carburettors, also introduced in 1962. Around this time lead/indium metal alloy lined the bearings, which increased durability. 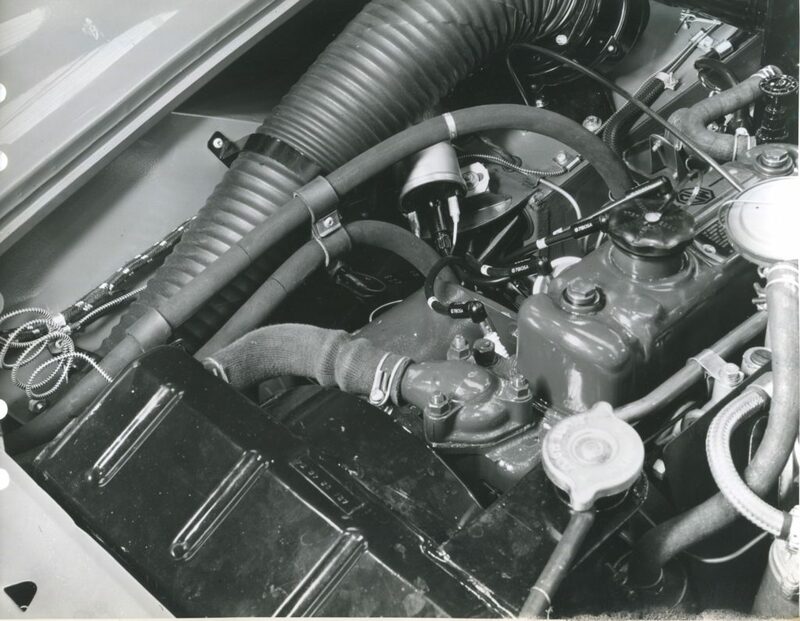 In 1964 both bore and stroke were increased to 70.60mm and 81.28mm, increasing capacity to 1275cc and giving an increase in power, allowing for all the models to be upgraded on internal fittings with no loss in performance. The above were the main production versions of the engine which covered the bulk of production. There were, however, other variants of the engine which appeared from time to time, and we will now review these. 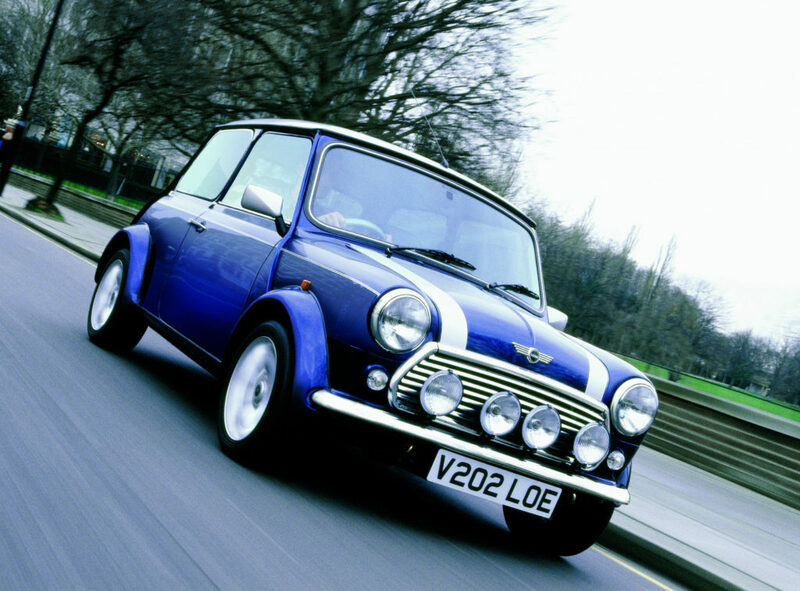 In 1962, the Mini-Cooper was introduced as a production model. The Cooper Car Company was involved in building racing cars, famously winning the World Championship in 1959 and 1960, but were building cars for the lesser formulae, including Formula Junior, for which they were using a much modified A-series engine of a nominal one-litre capacity. This engine used the 81.28mm stroke, with a 62.43mm bore, giving a capacity of 997cc. These same dimensions were used for the Mini Cooper, and the car had a strong following, offering, as it did, sports car performance and handling with four seats and a hard roof, even if it was not suited to taking long journeys, offering little comfort. 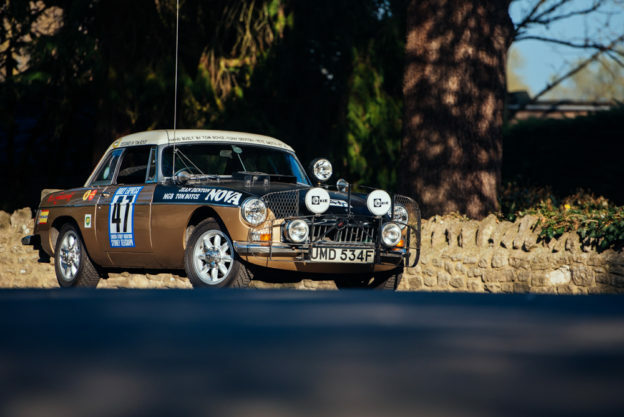 Racing had always been something of an anathema to the management of BMC, possibly because there was a feeling among them that it encouraged bad driving on the roads, so it mattered little what the Cooper Car Company achieved. 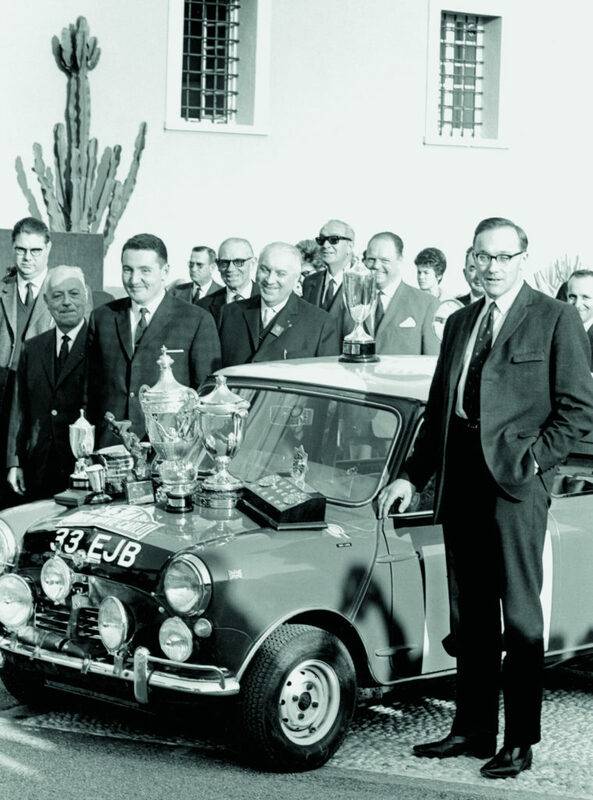 In 1964, success in international rally events became a necessity for the BMC publicity boys, and the Mini-Cooper S models were introduced, with no less than three engine sizes made available to fit the various, and at the time changing, capacity classes of these events. In order to comply with the homologation requirements, the cars needed to be production models available on order at sales outlets. 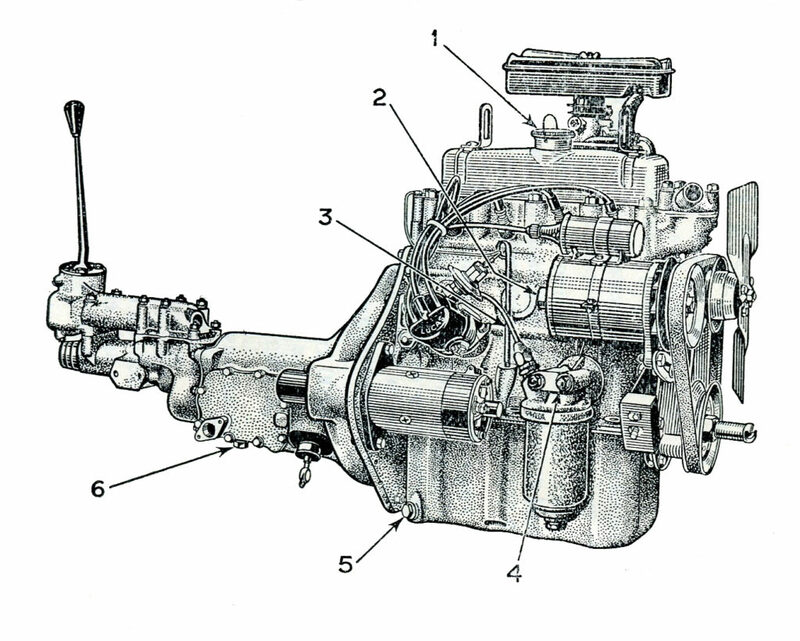 The first was a 1071cc displacement (70.61mm bore, 68.26mm stroke), with, early the following year, a 970 (70.61 X 61.91) then the 1275 using the Midget bore and stroke. 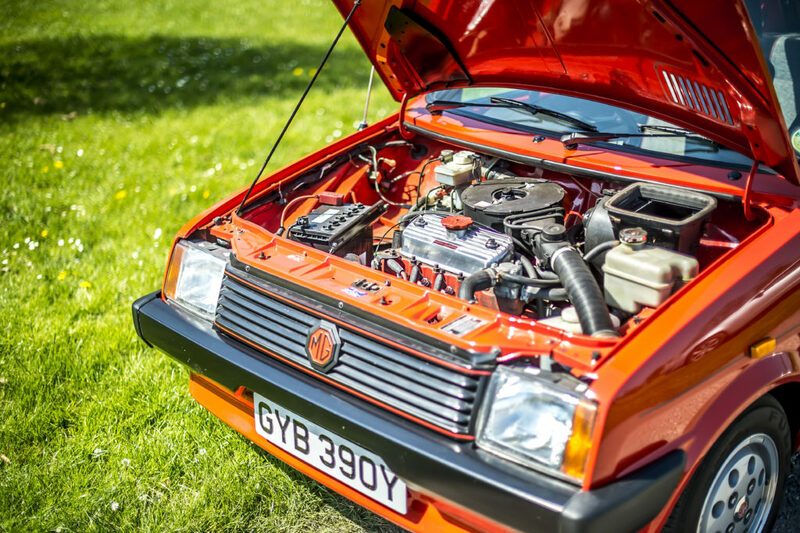 With the variety of marques being produced (Austin, Morris, MG, Wolseley, Riley, Vanden Plas and Cooper) and the various engine sizes, this was creating pressure on the production lines which sometimes ended with non-catalogued variants being built and needing rectification! 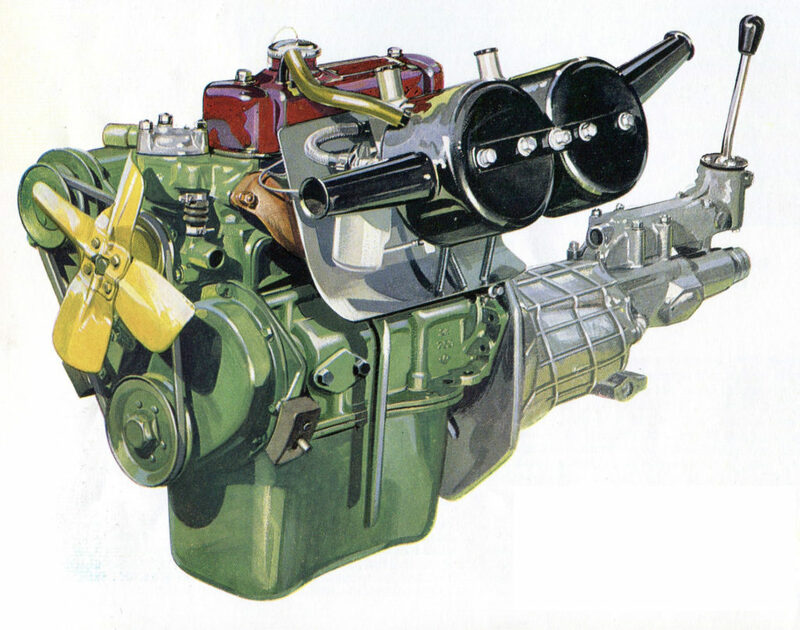 In 1966 the Mini Cooper engine stroke was reduced to 76.20mm (3.00”, the original A30 size!) and the bore increased to 64.57mm, giving a capacity of 998cc and at the same time most of the Mini variants were changed to this engine size, while the 1275 size was considered to be the natural size for the 1100 car range, now called 1300. However, this step towards logic was not always followed in the boardroom. BMC bought Jaguar Cars Ltd, and created a financial problem for the whole group, now renamed British Motor Holdings Ltd (BMH). This was exacerbated by changes in taxation laws, which created further problems, and the new model programme was curtailed, which included a new medium-size (1500cc) engine. Within two years, during which the ailing Rover-Triumph Group had been bought by Leyland Cars Ltd, the truck manufacturer, and was also lacking financial liquidity, the government of the day proposed nationalisation, the Company name changing to British Leyland Motor Corporation Ltd. Quite how this would solve the problems of the motor industry was never adequately explained, and this is probably not the place to expand on the subject; suffice to our story that the A-series engine continued to be made and used, although no longer in an MG, for that car for emissions homologation reasons adopted the Triumph 1500cc unit. By 1980 factory reorganisation and production rationalisation had resulted in a sensible new model programme, and while the E-series 1500cc and 2.2 litre engines had been put into production back in 1969, but the new model small car, to be known as Metro, approaching the A-series engine was updated as the ‘A-plus’ unit, with an alleged £30m being spent on new tooling and plant at Longbridge, at which plant all BL engines were to be built. The cylinder block was revised and the oil system, dispensing with the bolt-on filter housing and oil leakage problems, but most of the original layout was kept, although a timing chain tensioner was introduced. Five main bearing layouts were looked at, but offered no significant improvement. Changes to the inlet manifold and a more modern carburettor allowed for improvements in fuel economy and top-end power with no loss of torque. 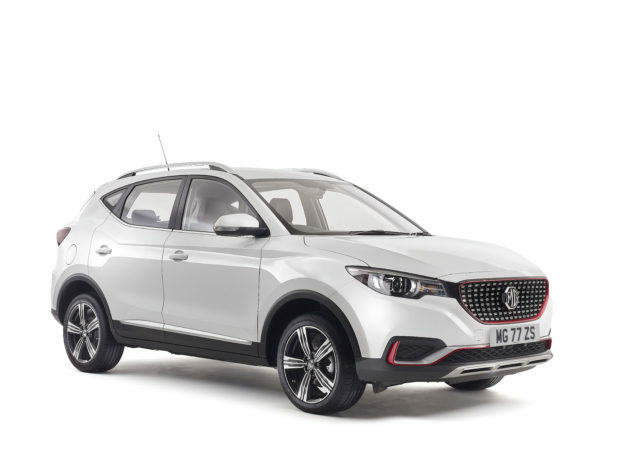 There was even a turbocharged engine supplied for the MG-badged model as an alternative to the normally aspirated engine. 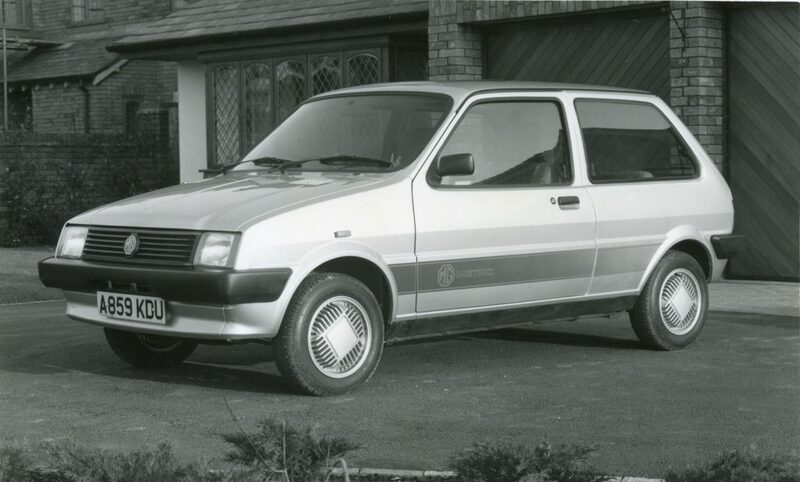 The engine continued mainly for the Mini and Metro throughout the 80s and into the 90s, by which time it was about to have been in production for 50 years, the last units being fitted in 2000. 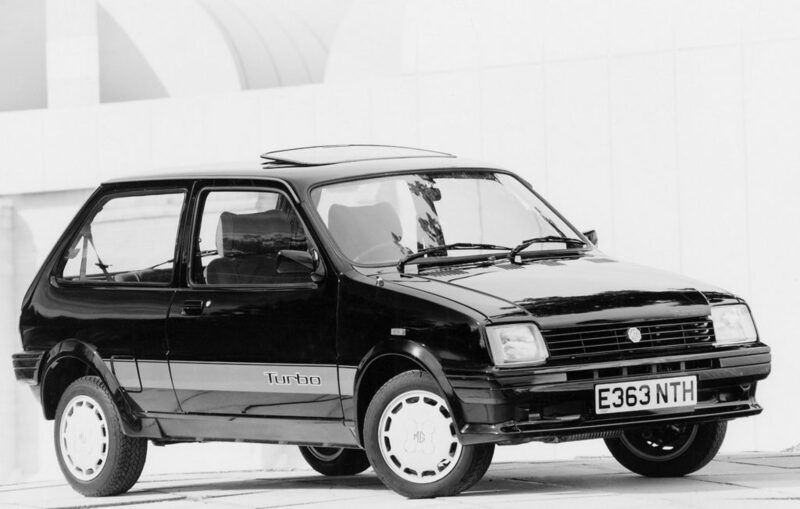 The engine for the Metro was changed to a K-series unit, and the Mini was finally dropped from production. In 1988 the Company was privatised, with British Aerospace, which was still nationalised, taking a major stake in the motor business… presumably because no ‘private’ investor had much confidence in the chequered history of recent years. Under BAe the old Leyland Company became the Rover Group, and the holding company sought to sell parts of it away, eventually selling to the BMW group of companies, but in the end they only retained the Mini marque, which provided a new model to their existing range. 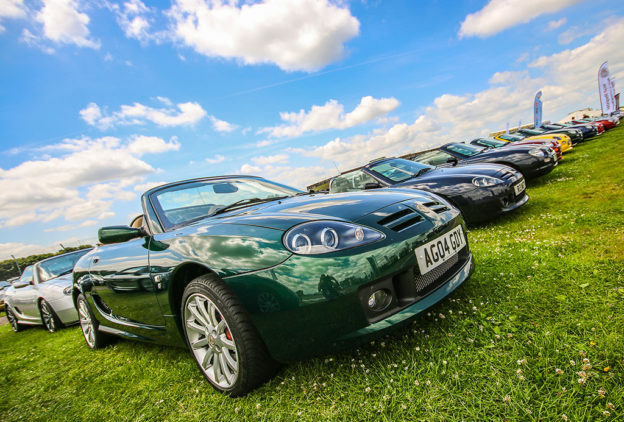 The rest of the Rover Company was sold off to a bunch of asset-stripping people under the company name of Rover-MG.
By 2000 the old A-series engine was at the end of its life, not quite making 50 years of continuous production and being replaced by the more up-to-date and efficient K-series engine. The simple design, started in 1944, had had a good and useful life, being used in many applications unforeseen at the time of designing. It was rugged, had a long service life, was simple to maintain and cheap to operate. It was even receptive to super-tuning, and formed the basis of quite a few sports cars, where power was raised to unconsidered levels by the original designers. 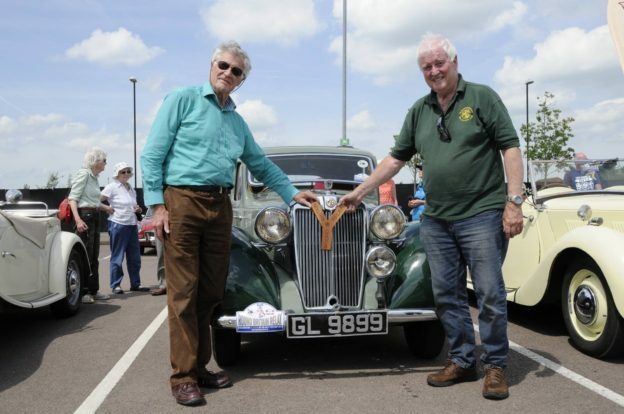 The MG Car Club welcomed members of the SVW Register to Kimber House on Sunday the 19th April, who handed over a fully refurbished cutaway VA engine that they had restored.